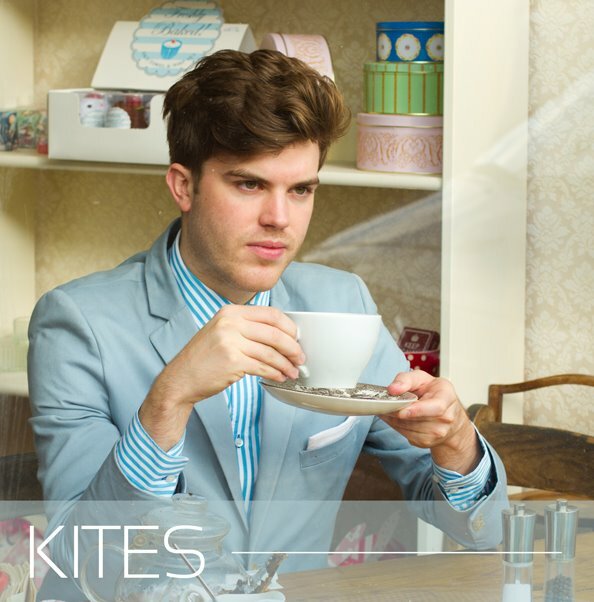 Kites is a London band comprised of the four unique musical talents, who frontman Matthew Phillips describes their sound as, “Melodramatic provocation for discontented dreamers”. They have been compared to the likes of New Order and Talking Heads, and have supported a nice range of various acts on tour such as Jarvis Cocker, The Maccabees, The Mystery Jets, Erasure, and Bloc Party. As I listen to their newest song 'This Jumped-Up Boy In Livery' I get the old school Bloc Party vibe that I have been aching to have return for sometime now. It is not as if the track resembles Bloc Party in its entirety, it is just that it offers a fresh take on the upbeat, dance, electro pop sound that has seemed to vanish for a few years. The electronics mixed with the staggering guitars, layered with Phillips vocals makes for an outstanding combination.